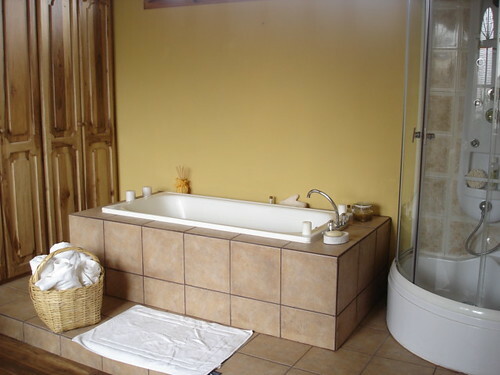 Tag Archive | "Vichy Spa;"
You can live for a month in our Cotacachi hotel suite and save. 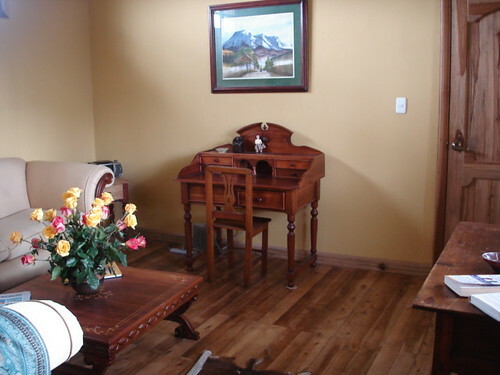 We offer a Hometel at our Cotacachi hotel Meson de las Flores so you can enjoy Cotacachi room rates… at a ridiculously low $32 a night… including a full served breakfast, free broadband and free calls to the US, Canada and Europe. 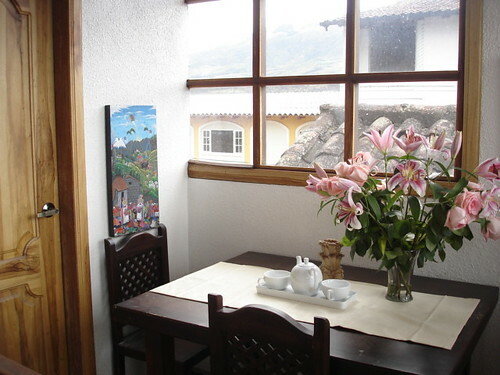 Now there is a Homesuite opportunity at our Cotacachi hotel as well. We have one suite in the hotel which starts with an outdoor dining area on a covered balcony. The cathedral is straight ahead, across the street and at eye level to the suite. These are all shots I have taken from the balcony. I love to sit in the dawn, work to the glow of my computer…(we have great wireless broadband for hotel guests)…and free phone calls to the US, Canada and Europe and watch the sun rise. 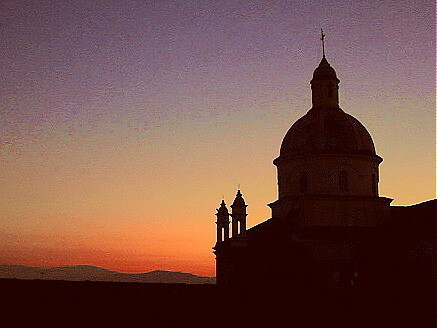 First, the dawn makes the Cathedral glow. Then Mt. Imbabua comes alive. This all happens around 5:30 am so many miss it…but for late sleepers, the views at dusk are a treat as well. Here is the moon just starting to rise. You can also watch all the activity in the courtyard two floors down. So we enter the suite into the living area. There are two sofas and a desk for working if you choose. All the floors throughout are hardwood. The next room is for sleeping. The bed, on the “World’s Most Comfortable Top Ten” list, is king size. Merri and I have rented this suite for the last two years and made this so…pillowtop mattress…with 300 thread count Italian sheets we hand carried to Ecuador. The four poster bed frame was given to us by friends who shipped it from the Seychelles (after their plantation there was burned down). 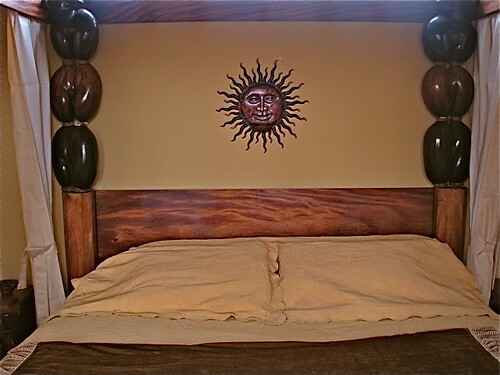 The bed posts are made from a rare coconut called “Coco del Mar”. Once only Royalty in the Seychelles was allowed to have “Coco del Mar”…under penalty of death we were told. Whatever…be sure…this is not your normal, run-of-the-mill, hotel bed. Neither by the way is the ceiling. 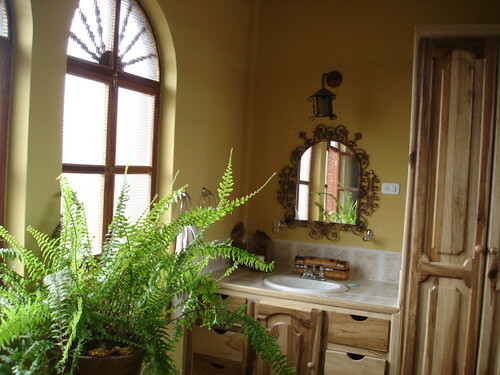 We are told by the previous owners that the name Meson de as Flores (Meson is not a Spanish word). It came to be because the Ambassador to France used to almost live here. This was his “Maison of the Flowers” which became corrupted into translation. 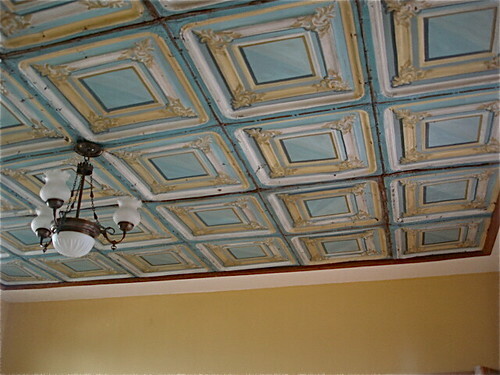 That Ambassador donated a special antique (this all happened a long time ago) pressed a tin ceiling…quite beautiful…and rare. Finally we reach the third room..a more than king size bathroom and closet. Merri and I designed it, because she loves baths. 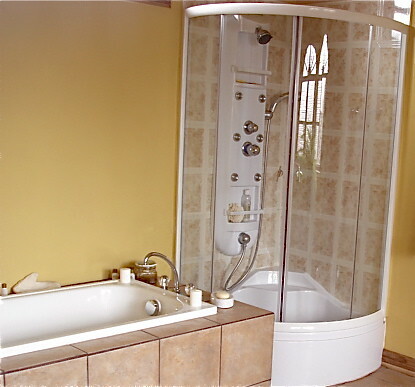 I’m a shower sort of guy…so…this is why we have great marriage and a Vichy Spa Shower. ..the real stuff.no veneer or engineered flooring here. Our normal Hometel program lets guests stay for 31 nights at a low rate of $32 a night. Merri and I have rented the suite for the last years so it was not available. 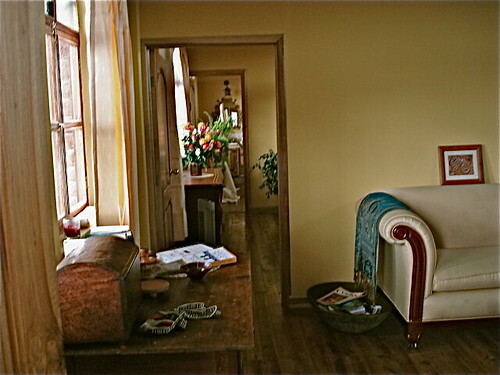 Now that we have finished a loft studio nearby where we are moving we have added this suite of rooms to our hometel program and at only $19 a night more. You can read about our hometel program below and sign up for $999 for a month (31 nights). You can choose the suite instead at $1,588 for the month or $1,688 for a couple. Hometels including the suite were fully booked through March 2009, so please contact us with your dates. Once you have cleared availability, simply sign up for the hometel and put your choice of the suite in the comments section. We will charge the $1,588 instead of $999 (or couples price). See the hometel details below. Order the regular hometel here $999 Single, $1099 couple order here. 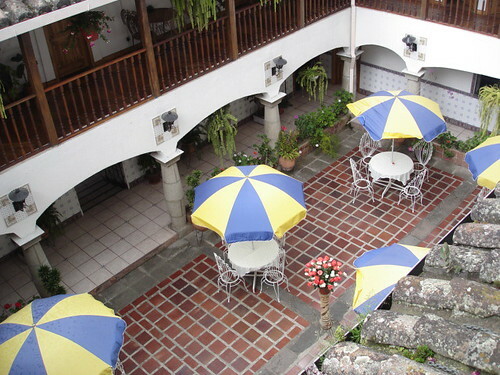 Here are some snapshots of the Meson de las Flores Inn. Our Land of the Sun Foundation took control March 1, 2006 and created the Hometel program so readers can stay here at a monthly rate of $999. (This low fee helps humanitarian and charitable causes). The monthly price includes a wonderful served breakfast of just squeezed juice, bacon or ham and eggs, bread, ripe fruit and cereal. Lunch and dinner are extra at $5 for a two course meal if you choose to dine at the hotel. We have free wireless broadband for your laptop or a computer you can use, plus a VOIP phone system so you can call the US, Canada or Europe at no charge. 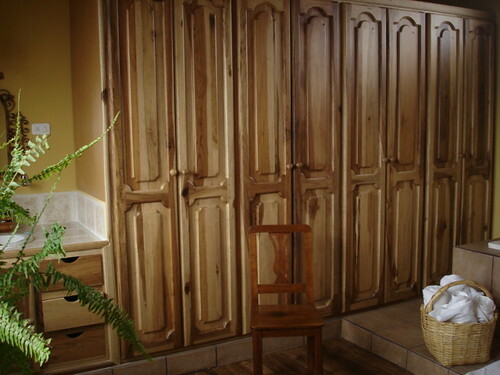 We have also installed a far infrared sauna for your health and enjoyment. The entrance of our home (and we hope yours) in Cotacachi is a bit more than 60 steps to a magnificent cathedral and park. 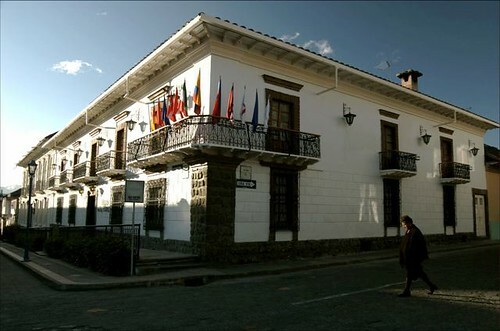 Cotacachi is quiet and peaceful and once inside Meson you feel the flavor of its colonial past. The foundations of this building were started here over 180 years. The inner courtyard is open and this (plus an inside dining area) is where we serve meals. We have an excellent chef trained in Andean nutritional skills. Meals are delicious and those who stay rave about the food. We have a full professional kitchen where we produce delicious, nutritious and energizing meals drawn from the Andes’ volcanic soil. Everywhere you turn you see stunning views from the hotel. The hotel is nestled between three mountains. 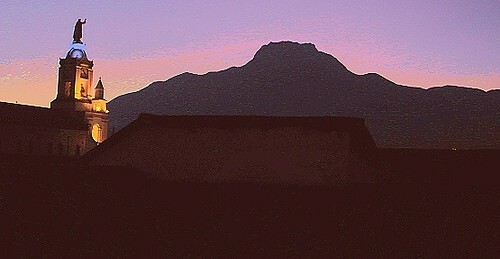 This is Mount Imbabura. Five minutes away is La Mirage a Relais and Chateuax Spa. 20 minutes away is a national park and crater lake for picnics and in pure air and nature take you along nearby along Cuicocha Crater Lake. Cuicocha was formed by a massive volcanic explosion 3,000 years ago. You picnic on a carpet of grass by pure, azure, 600 foot deep waters amidst breathtaking scenery. There are numerous trails for hiking and horseback riding. Here’s Merri, our hound dog Ma and me at the lake. Less than an hour away is Chachimbiro Thermal Springs (picture below) you soak in the wilds of its mineral waters. Locals knew of pools of healing waters since pre hispanic times, but the majority of these medicinal thermal waters began to flow after an earthquake in 1868. They come from a volcanic complex that has existed 10,000 years and flow at temperatures ranging from 92 F to 132 F.
The chemical composition makes them among the best healing waters in the Americas as they contain chlorides, sulfides of iron, copper, fluorine, bromine and iodine. They act as a digestive, purgative regulator, stimulant of the cardiovascular system, diuretic and a central nervous system stimulant. This is one of the most famous craft areas in Ecuador and there are numerous markets all within a few minutes ride (taxis by the way are very inexpensive) from Meson. 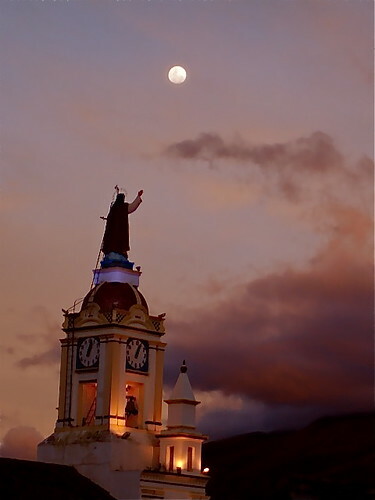 Shopping markets include: Otavalo, world-renowned for its large, varied indigenous market. Throughout the week, there is an abundance of traditional weavings and handicrafts to be found. Cotacachi is famous as the leather village and specializes in all types of leather wear. The main street is lined with shops selling belts, jackets, bags, vests, suitcases, saddles and more. There is an abundance of products allowing you to find what you are looking for – all at amazingly cheap prices. 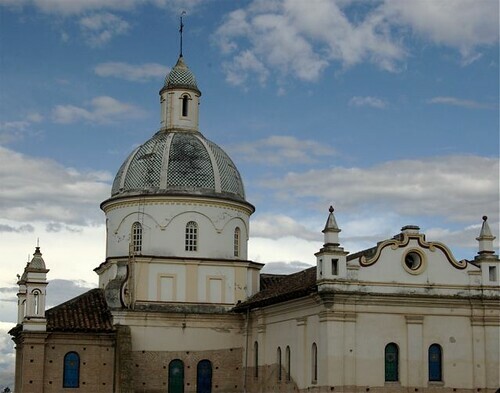 San Antonio de Ibarra, is famous for wood carvings and furniture. The tradition of craftsmanship developed by the population of San Antonio dates to the 16th century and includes sought after wooden religious art and altar pieces that are shipped worldwide. One of the best weaving villages in Ecuador is Peguche. This village is far less known than Otavalo but the better tapestries are woven here. They have weaving demonstrations including how all natural dyes are made. Traditional Masapan art made from hardened bread dough craft making is a cultural expression of the rural zone of Calderon, which has been passed down for generations. Now we have one of the descendants of this ancient craft who is offering it in a nearby village to us…just 7 miles away. The masapan crafts are original products, multicolored and perfect for decoration. All products are hand made with quality prime material that is non-toxic, to protect health and the environment. We have a Spanish teacher who lives near the hotel and offers both group and individual Spanish lessons at very low prices. You also enjoy very comfortable king size beds (with 380+ thread count sheets), balcony and daily maid service. Every room has a large balcony. Laundry is extremely inexpensive. Medical services are excellent. Some residents more than pay for their stay just having dental work completed. In addition the weather is wonderful! 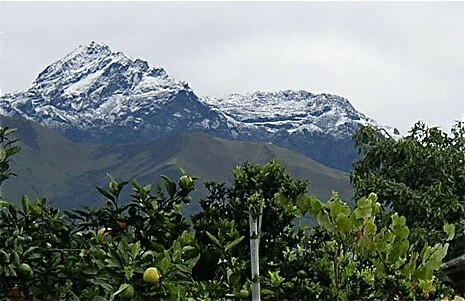 Ecuador is a land of intense sun, but the Andes climate varies according to altitude. Cotacachi sits at 7,800 feet, so the temperatures range between mid 40s (at night) and mid 70s during the day. Because there is no industry for many miles the air is clear and the stars at night spectacular! This is a small community (10,000 people). The people are warm, sweet and friendly, no traffic jams, no pollution…to us an almost perfect place to live. Finally your contribution by living here helps support the programs of the Land of the Sun Foundation (See www.landofthesun.org ). The hotel was purchased with charitable contributions and all proceeds from the hotel goes to charitable causes. To date we are offering free English lessons in the community, a soup kitchen for the homeless, a children’s lending library, medical missions, medical help, higher learning for the indigenous, and computer gifts. Being a part of these wonderful programs adds one more fulfilling dimension to living here with us at Meson de las Flores. 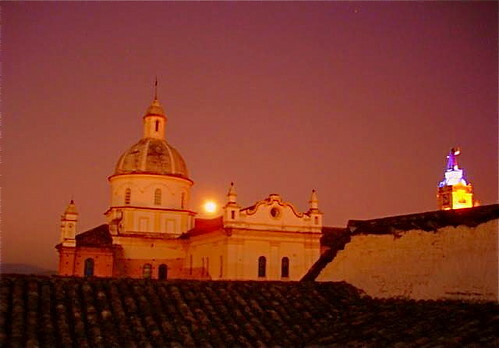 We love our home here and hope you will share Ecuador with us. Remember that time is money and in this case, timing your visit to Ecuador is money and convenience! Details of the $32 a night hometel program are here.